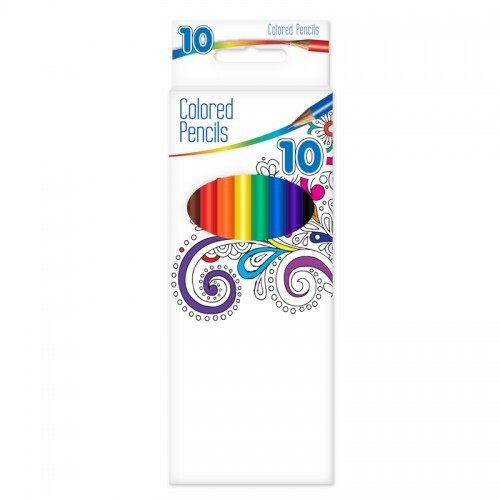 Adult coloring has become very popular, and our Color Therapy® 10pk Colored Pencils are perfect to get started. 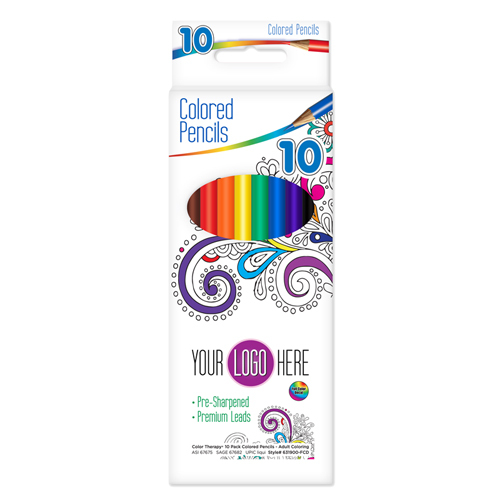 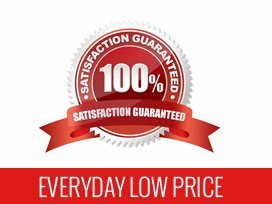 Our 7" pre-sharpened adult coloring pencils come with a full color decal on the front of the box (2nd side available) and are perfect for 1C up to 4C process logo printing. 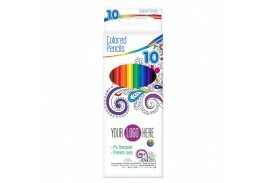 The box contains 10 pre-sharpened, 7” full length colored pencils in assorted colors with premium lead.